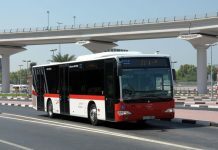 DUBAI — The Public Transport Agency, Roads and Transport Authority (RTA) – Dubai, is seeking to broaden and enhance the tourist aspects of the sector, namely the Water Taxi and Ferry Dubai. 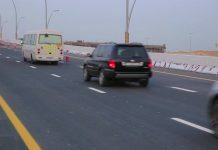 The move comes in line with the development drive seen in the UAE in general and Dubai Emirate in particular, especially in the tourist field which is one of the key vibrant sectors in the Emirate. To boost the cooperation with the leading world-class tourist organisations, RTA Public Transport Agency has recently signed a strategic agreement in a form of a Memorandum of Association with the Atlantis Hotel in which the two parties have agreed to broaden the scope and effectiveness of the joint cooperation through operating scheduled water taxi trips to serve the residents of Atlantis Hotel as well as its tourists hailing from various corners of the globe. The MoU was signed for the RTA by the CEO of Public Transport Agency Essa Abdul Rahman Al Dossari, and for Atlantis Hotel by the Vice-President for Finance Tim Wise, in the presence of the Executive Director of Operations Serge Zaalof, and a number of Directors and Managers from both sides. “We are excited to see the RTA playing a vital role in promoting tourism and contributing to the development of tourism movement in general and the marine tourist transport in particular. The Agreement underlies our belief in the importance of supporting the tourist sector with this service; which is a key pillar of the tourist sector business and an important source of income in this regard,” said Al Dossari. Through this Agreement, he continued, Atlantis Hotel, being situated at Jumeirah Palm, will be linked to Dubai Creek; which is a first-class tourist attraction point considering its historical landmarks and diversity of markets. 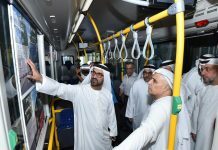 He stated that Public Transport Agency would be fully ready to cooperate with Atlantis Hotel, not only in boosting the tourist marine transport, but also in providing all the requisite tools of encouraging residents and visitors of the hotel to use other mass transit systems such as public buses and the metro to ease their mobility in the Emirate; which would make their visit to the Emirate a memorable experience.